Beech became a major producer during World War II, turning out more than 7,000 aircraft. When her husband Walter became seriously ill in 1940, Olive Ann took over operations, arranging $83 million in loans to finance expansion. Walter died in 1950; Olive was named president and chairman. Beech did well, extending its operations into space and creating profitable corporate aircraft. 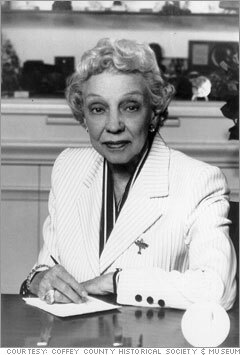 She retired as president in 1968, but the First Lady of Aviation, as Beech was widely known, stayed on as chairman until 1982, two years after Raytheon bought the company.